Words and photos by Rainer Jenss, PADI Open Water Diver and President & Founder of Family Travel Association. My wife and I became PADI certified in the summer of 1993, right before our wedding day. Why? 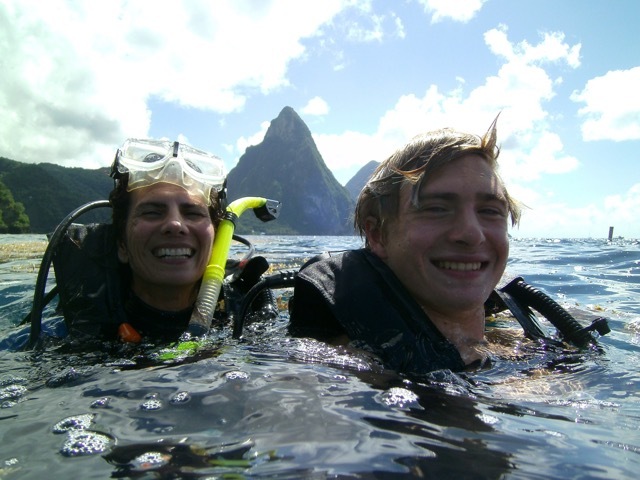 Because we wanted to go scuba diving during our honeymoon, which took us to the Caribbean on a Windjammer Cruise. For several years that followed, we would dive whenever possible. 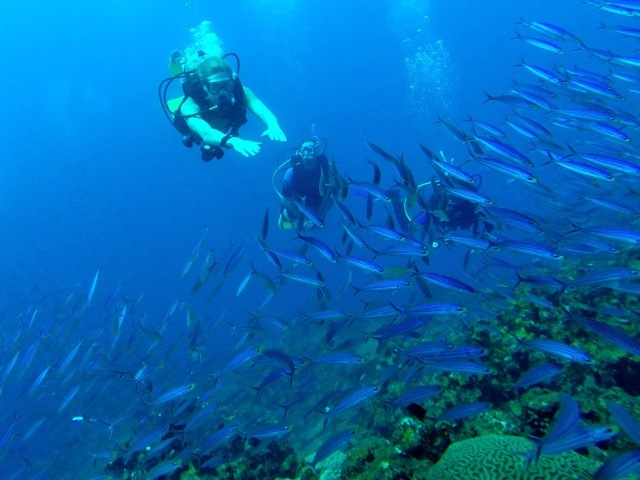 Our trips to the Middle East (the Red Sea), Europe (the Mediterranean), Australia (the Great Barrier Reef), South America (the Galapagos) and even Africa (the Seychelles) all included wonderful underwater adventures. All of that changed after the birth of our two sons. I’m a firm believer that becoming a parent should not slow one down in terms of pursuing travel dreams. In fact, the options should actually broaden since sharing the world with your children is one of the best gifts you can give them. But scuba diving with an infant or young child just didn’t seem practical. So we didn’t record a dive in our logbooks for about 12 years. 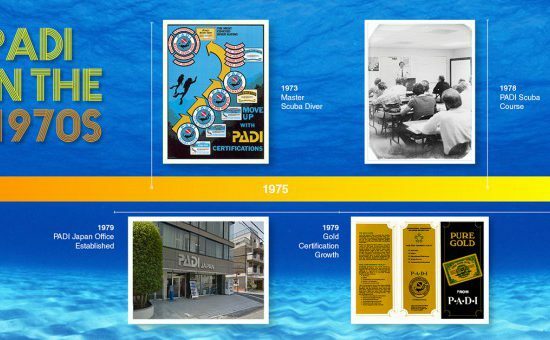 That quickly changed when I discovered that a child as young 10 can get PADI certified! But it took an interesting twist of fate for me to learn about this. When our boys were 8 and 11 years old, my wife and I decided to do something many people dream about, but few actually do. We sold our house, put our careers and possessions in storage, took our kids out of school and traveled around the world for a year. We visited 29 countries, experienced incredible things and, best of all, bonded in a way very few families get chance to do. But did we go diving? No. When we returned from our journey, I was asked to give talks about our trip at consumer travel expos and industry conferences. After all, I had become an expert on family travel and who better to inspire other families to travel, I thought, than me? “How old are they?” she asked. “10 and 13,” I replied. 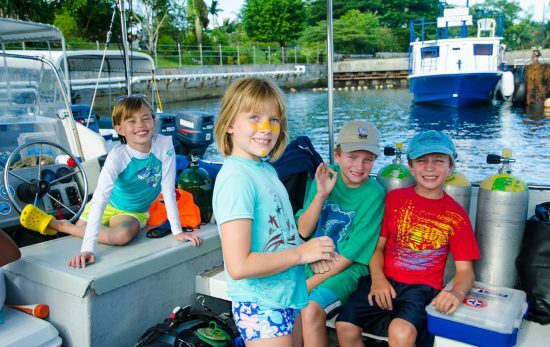 “They’re old enough,” replied Margo Peyton, who turned to be the founder of Kids Sea Camp, a company that provides group trips for families that want to travel with other dive enthusiasts. So much for being a family travel expert, I thought. I had no idea these guys even existed, never mind knowing that you can be as young as 10 to get certified. 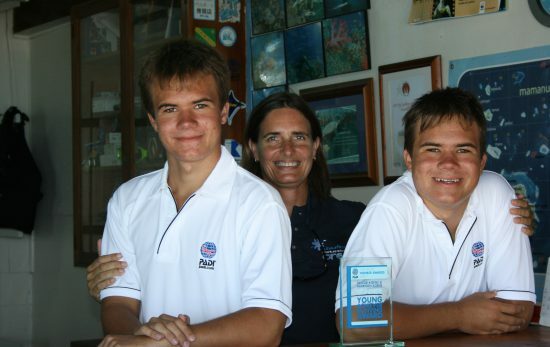 So three months later, my boys were certified and we found ourselves on a plane heading to Palau as a family! 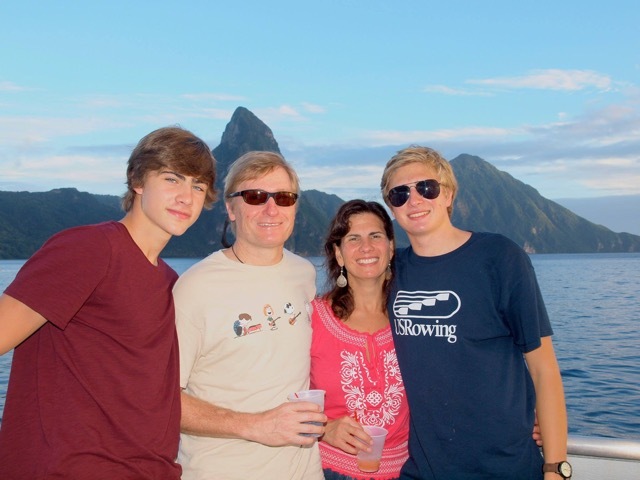 Realizing from this example that there must be lots of other parents who don’t know about all the cool things they can do with their kids, I launched the Family Travel Association to change the way families travel — charting a path for future generations of travelers we need to cultivate. So I guess you can say diving has had a major impact on my professional life and my personal one. But getting PADI certified didn’t only change my life, it’s really impacted my boys as well. For two kids who have literally traveled around the world, they now prefer going to places where we can go diving together. Perhaps that’s because Palau was such an amazing place to dive, particularly for their first ones (they’re spoiled for life, I told them. They saw black-tipped sharks, manta rays and sea turtles on their very first time in the water! But it’s more than that. 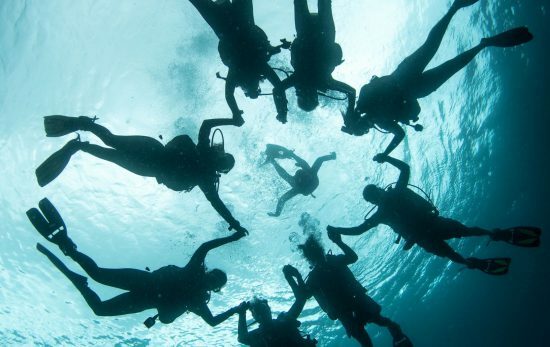 While diving certainly gets them excited about all the marine life they see, it’s also taught them some very important new life skills: attention to detail, safety, team work and even self confidence. What parent wouldn’t want that – especially with something their children love to do? 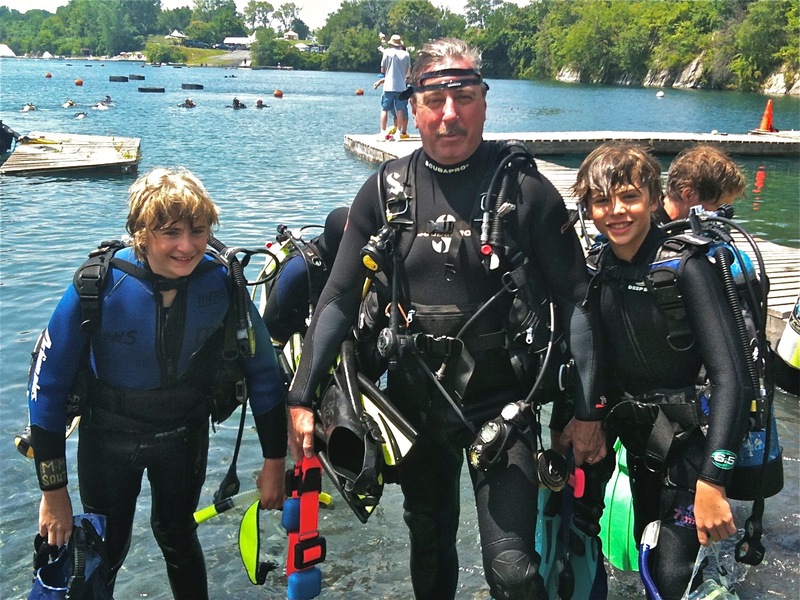 I now tell parents that diving with their kids is not just recreational, it’s transformational! My PADI is not just my certification to dive. PADI is a proud member of the Family Travel Association and my partner in helping inspire more families to explore the world together. Visit mypadi.padi.com to hear more My PADI stories from other inspirational PADI divers.